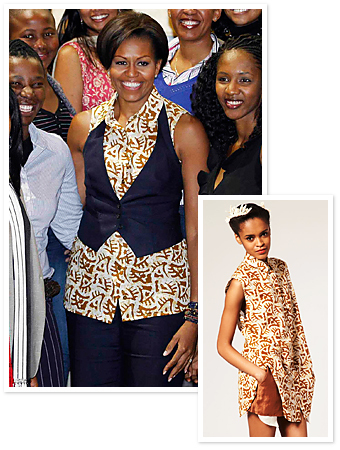 We all know by now that Michelle Obama loves her Duro Olowu. She been spotted during her trip to Africa this jacket from the Nigerian designer fall 2010 collection and also this Over sized sleeveless shirt from the Asos Africa 2011 collection . I think the she looks great the first outfit is my favorite!